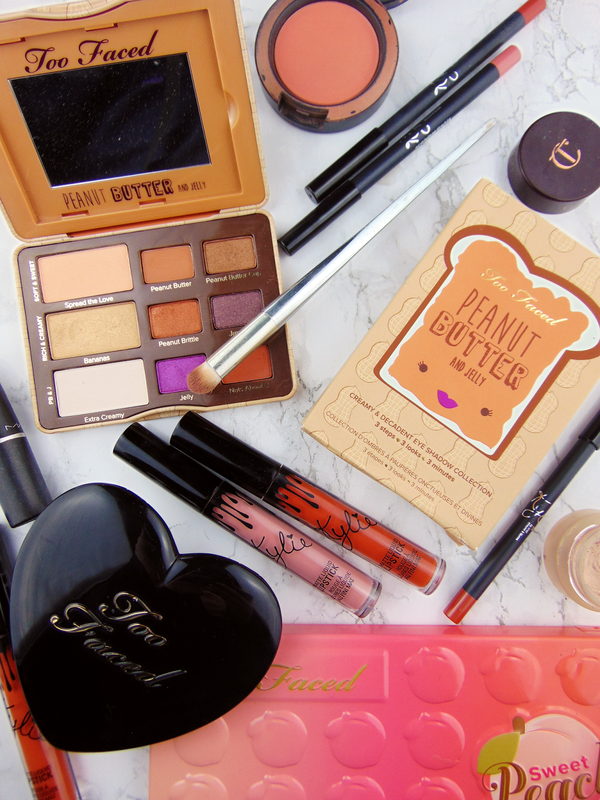 Spread it like peanut butter jelly... Too Faced palette review! Too Faced absolutely smash it with all their palette ideas and have quickly worked their way to being my absolute favourite make up company ever. Every time there's a new release I find myself googling teaser pictures and swatches at 4am and planning outfits that will match. 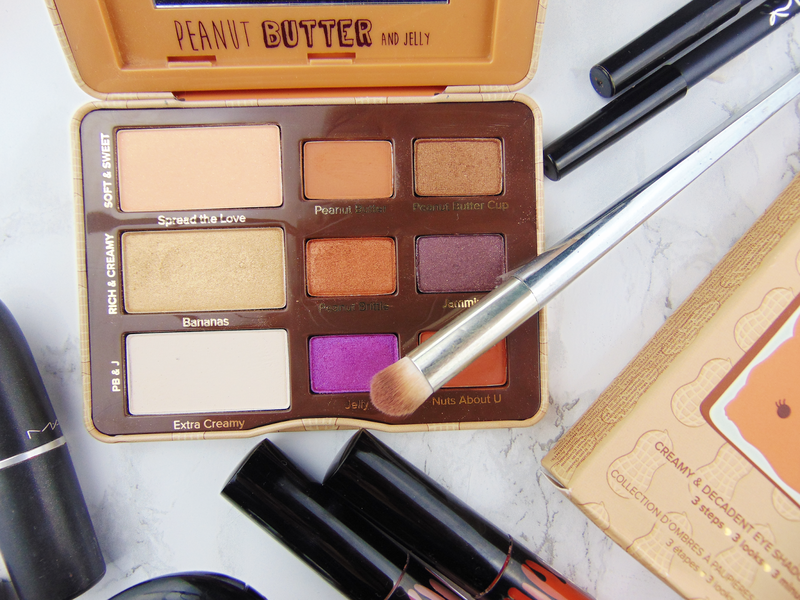 The peanut butter and jelly palette was no exception and ever since Jerrod Blandino posted a teaser picture to his instagram around Christmas time I've been dreaming about nothing else other than adding this baby to my collection. This palette is the same layout and style as the rest of Too Faced smaller palettes; it consists of 9 shades separated into 3 different 'looks' with 3 shades also being in bigger pans and is housed in tin rather than cardboard (another YAS from me!) Like the chocolate bar collection, this palette is supposed to smell like peanut butter (although I think it smells more like chocolate and caramel) but no worries, it's clear on the packaging that no nuts were actually used to make this so anyone who has a nut allergy can enjoy this little gem too. Inspired by the peanut butter shade in the Semi-Sweet palette, this baby mainly consists of extremely warm brown shades with a couple purple pops of colour thrown in. Warm shades are everywhere at the minute! Which I'm so thankful for as warm browns are my thing and pretty much the only colour I ever seem to wear any more. 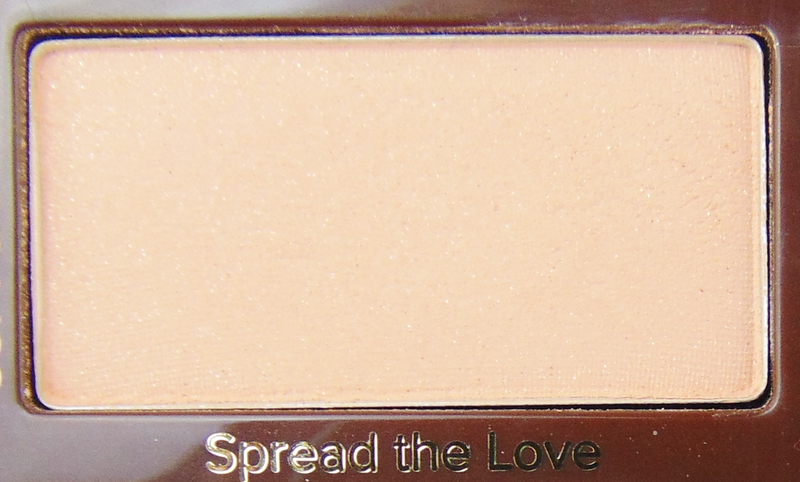 Spread the love: is the first shade in the 'soft and sweet' trio. It's a gorgeous peachy shade with hints of golden shimmer. 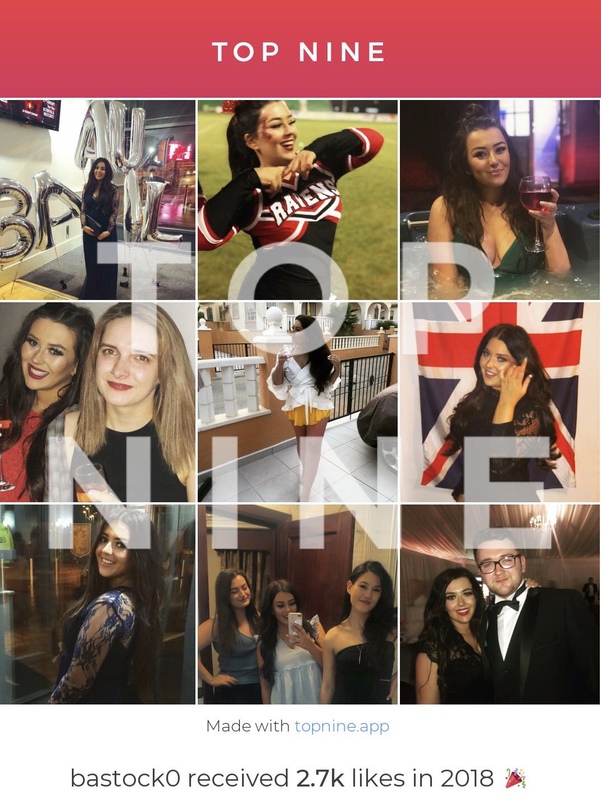 I love using this shade as an inner corner highlight and if I tap off the excess sparkle it can also be used to blend out my crease colour. Not hugely exciting but a lovely addition to the palette as it means I can really just take this palette away with me and I have every colour I need. 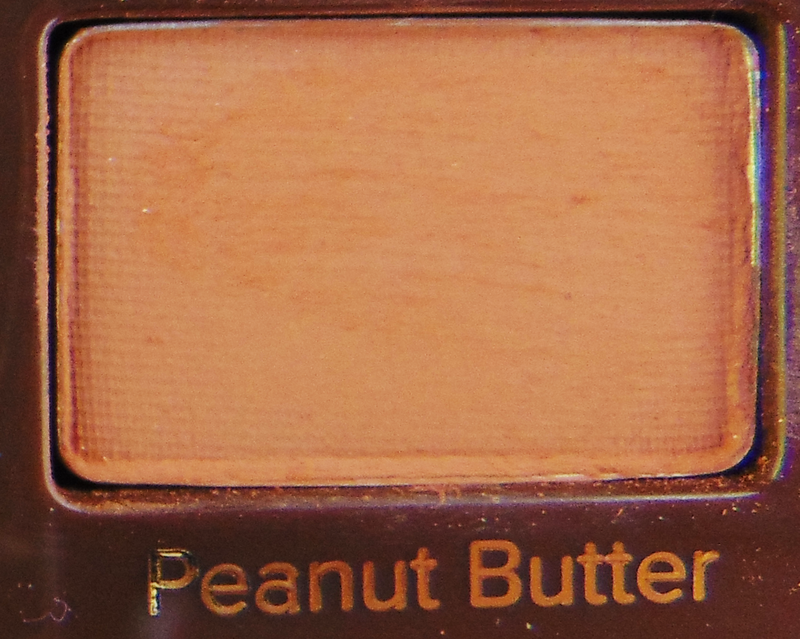 Peanut butter: is probably one of the best shades in this palette and I feel like most people also agree with that. It's the shade from TF's second addition to the chocolate family; the Semi-Sweet palette and subsequently the shade that inspired the whole peanut butter palette. This shade is a brilliant warm brown but light enough to work as a crease and transition shade. If you dislike orange matte browns then this is not the shade for you (but seriously, who actually dislikes them?)! 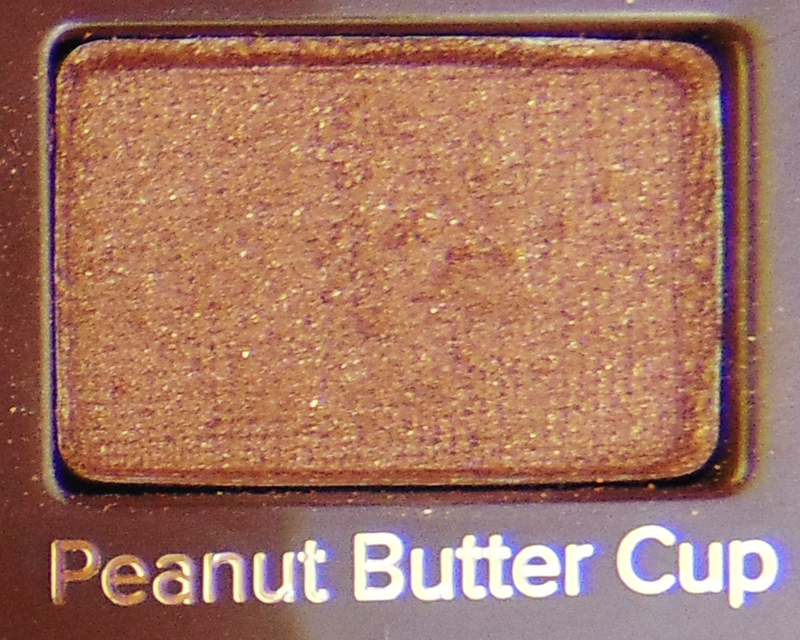 Peanut butter cup: is the last shade in the 'soft and sweet' look. It's another warm brown with a lot of metallic gold shimmer throughout and overall pulls quite bronzey. Again this is a gorgeous shade which wears all day. It's beautiful put in the outter v to create a smokey and sultry eye look. Bananas: is the first shade in the 'rich and creamy' look. 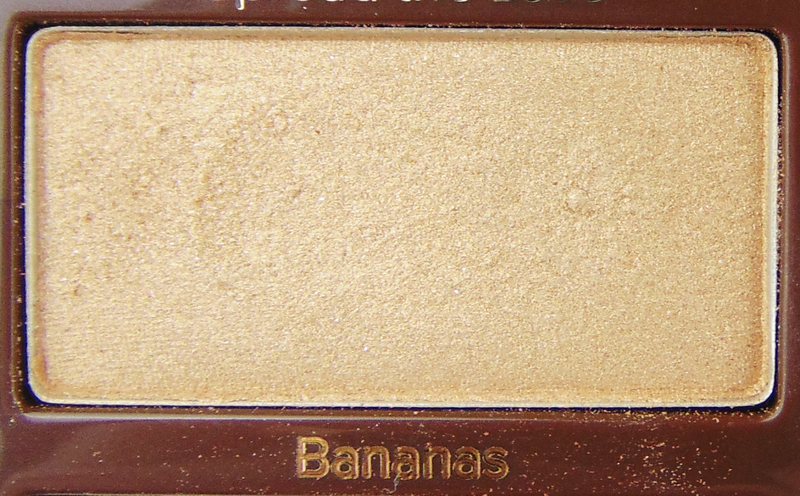 Bananas is a yellow gold with a lot of silver and gold shimmer. 'Banana' is the perfect description for this shade as it really does resemble the colour of the inside of a banana. I love packing this shade onto my lid with a flat, dense brush and blending a warm brown through my crease - it's a really quick look but looks gorgeous for summer! 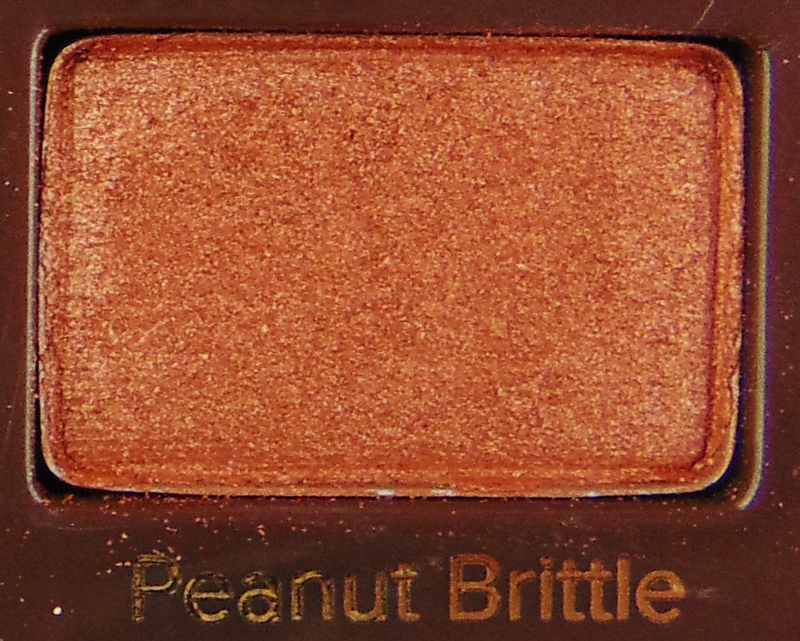 Peanut brittle: is a metallic orange shade. I was so so so excited for this colour when I first saw it but I just haven't found a way to make this work on me yet, it's so warm that none of my other eyeshadows really work with it but the consistency is beautiful and buttery. Jammin': is one of the jelly inspired shades. Honestly, purple isn't something that I usually go for but this shade is so gorgeous and subtly purple that I can't resist using it. 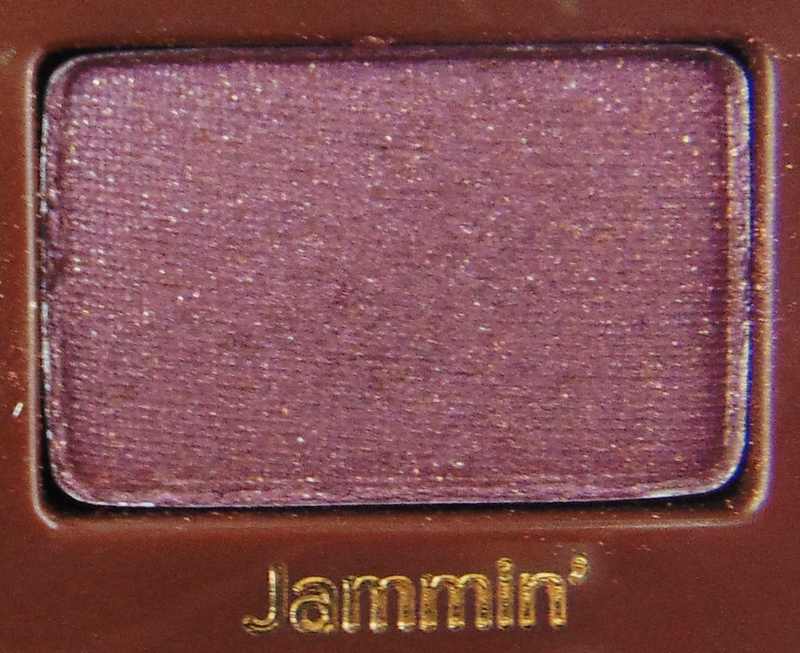 Jammin' looks dark in the pan but doesn't pull that dark on the eye and is packed full of silver shimmer. Definitely the coolest shade in the palette but works great with the intensity of the warm shades. 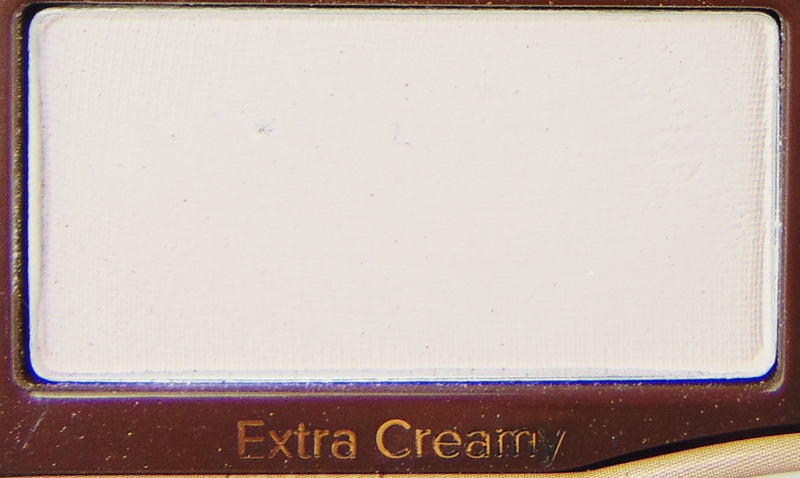 Extra creamy: is the first shade and thus the largest pan in the PB&J trio. Extra creamy is an extremely light coloured beige, verging on almost being white. Although not that exciting, it's a perfect highlight shade for both inner corner and under the brow bone. Personally I dislike having a glittery or shiny brow bone highlight so this is perfect for me. It's extremely pigmented and wears a long time. Jelly: is a vibrant purple with blue-ish sparkle and extremely cool undertones. In the pan this looks gorgeous but unfortunately the pigmentation is lacking slightly. 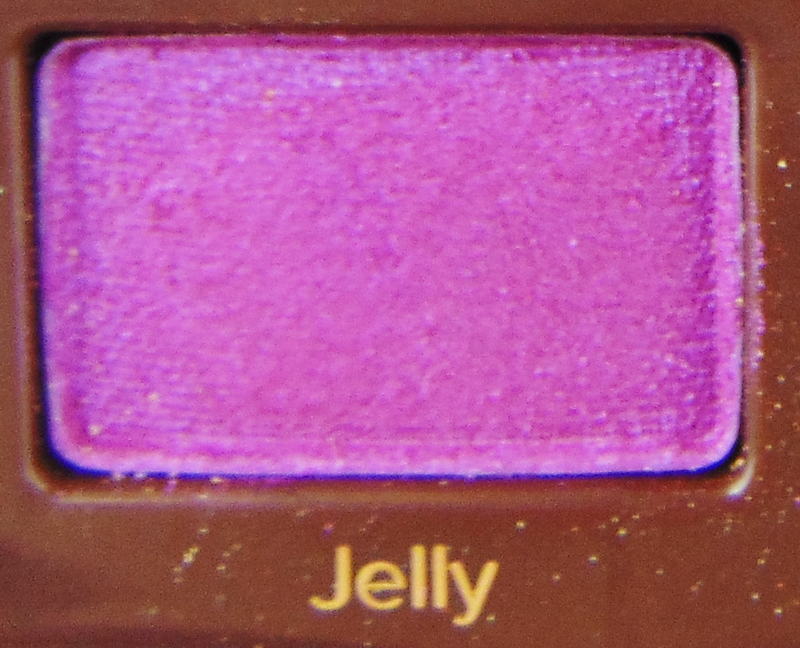 However, Jelly is easily buildable and you can achieve a highly pigmented look just by packing the colour on. Although I'm not daring enough to wear this all over the lid, I have tried it as an inner corner colour and under my lash line. 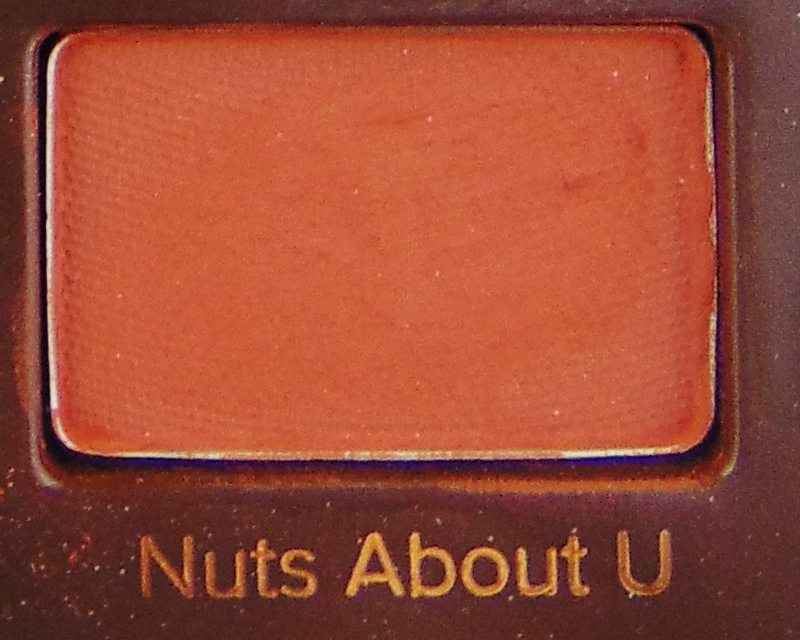 Nuts about U: is another one favourite shade in the palette. It's an extremely orange brown colour which is medium-dark. Nuts about U has a matte finish which is perfect for the crease and deepening the outer v. Although it can be slightly too intense, with a careful hand this can really polish off a look. All colours also have brilliant wear time, are creamy and blend beautifully - just like the majority of Too Faced shadows. And, if you didn't already know, Too Faced are also cruelty free! Overall this palette gets two massive thumbs up from me. Apart from the two purple shades, I really do love every colour in this little baby and I'm so glad I was able to pick it up. Unfortunately this sold out pretty much instantly and there are no signs of a restock but this is going for around £40 at the minute on places like eBay and Depop - I definitely think it's worth checking out! Do you like this palette? What's your favourite shade? My too faced natural eyes palette is my absolute favourite. I haven't put it down for weeks! 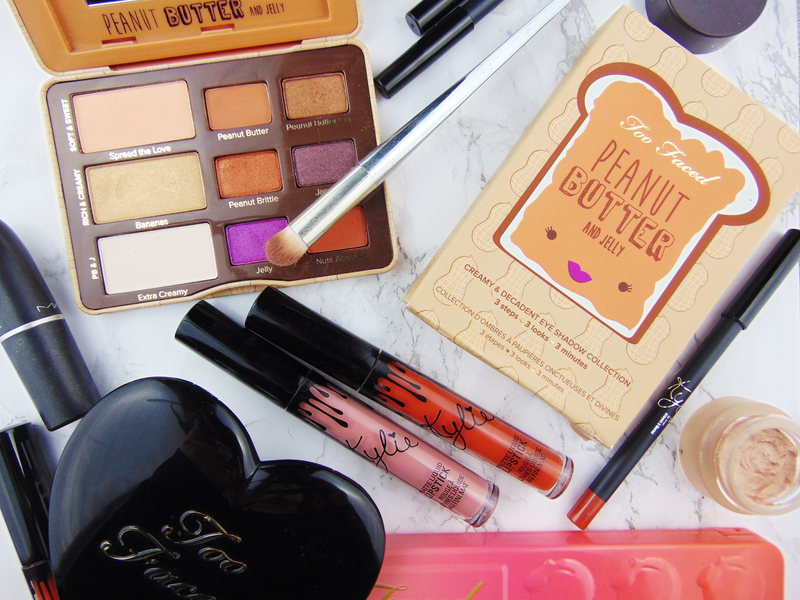 Love the theme of the PBJ palette though I'm curious how I'd get on with the bolder colours! This is so cute! I'm always impressed by the quality and creativity of Too Faced's palettes! I don't have this palette but I do have a different one from Too Faced and I love it, so I bet this would be just as good. I'm also in love with the name of this palette! My sister has this, this palette is so freaking cute but it was too light for my fair skin. I love their palettes! 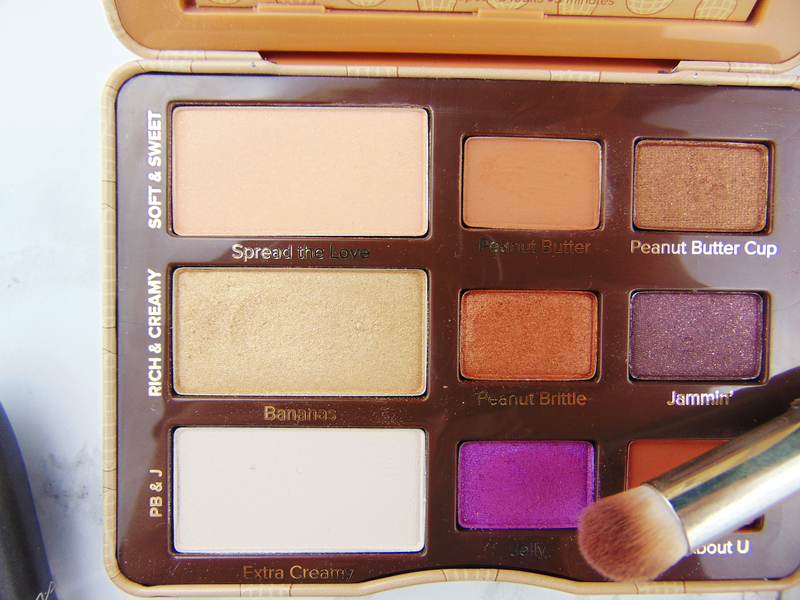 Such a great review, this palette looks so cute!